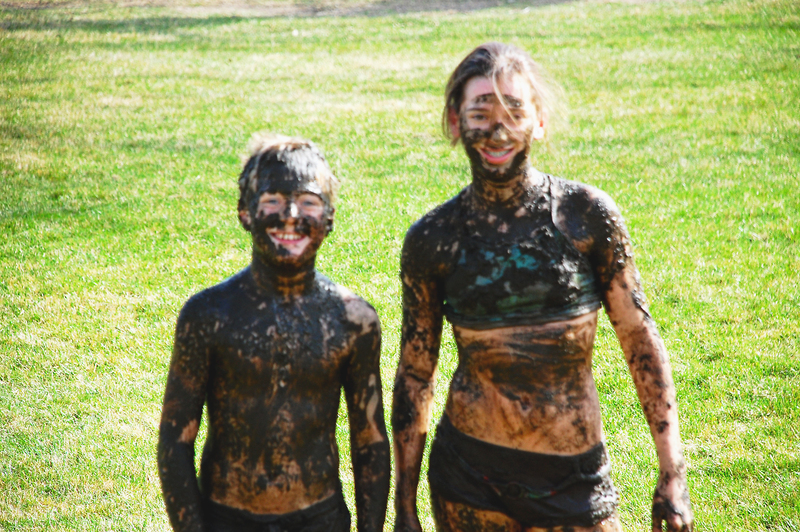 My children love mud. They love to play in it, roll in it, throw it, smear it on themselves…and I’m not sure why. The backwaters of the river is their favorite place to find mud. This time of year is especially popular because the bugs won’t eat them alive yet when they go down to play in the mud. This year is no different. It was finally warm enough today to go play in the mud. And so they did. This obsession with mud has been going on for some time. A few years ago they did the same thing, although they were a little more serious. I think our oldest has finally outgrown this habit, but he used to join right in too…and take it to new levels. Disgusting, huh? Where are his parents? Why do they let him get so dirty? 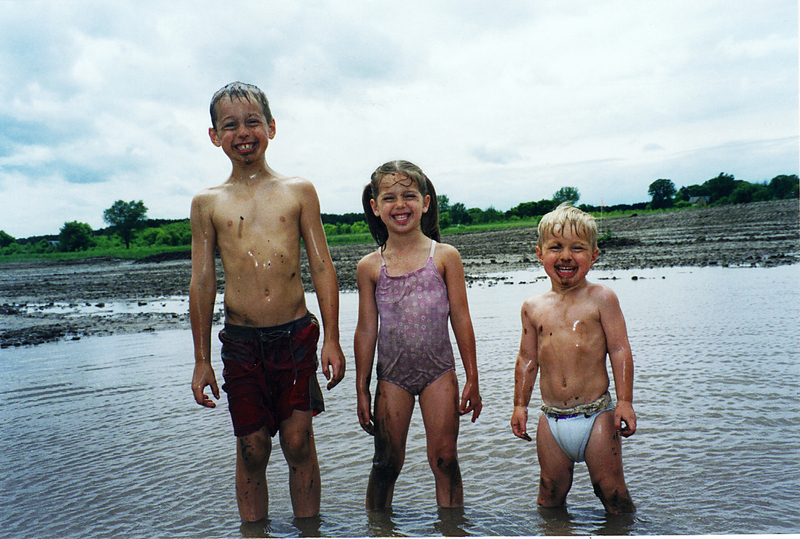 We maybe should have nipped it in the bud a long time ago when they were little and insisted on playing in the mud. But they looked like they were having so much fun….how could we? And this little girl….rolling a ball of mud. Doesn’t she look like she’s having fun? 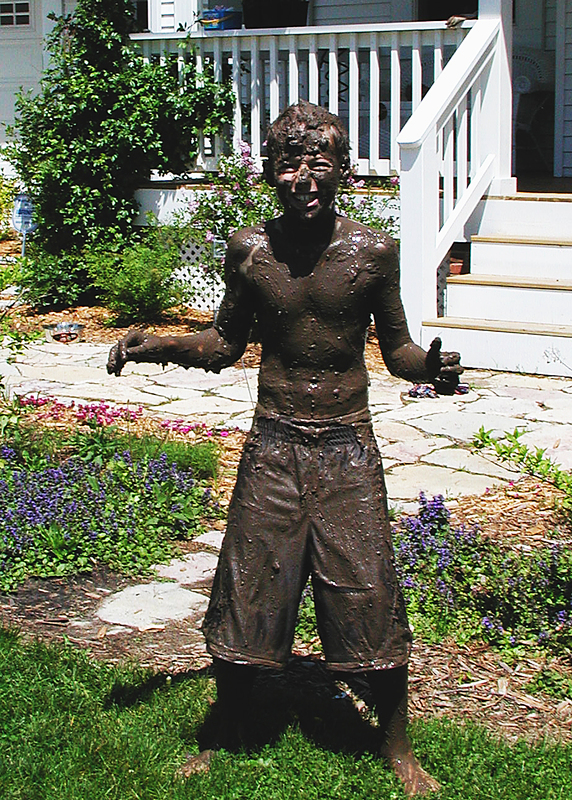 And this kid…how could we tell him he can’t play in the mud? And so we let them play. Every year they make a pilgrimage to the mud and every year I wipe door handles, do laundry and clean up the shower after they finish their shenanigans. Although I may complain a wee bit about the cleaning up part, I will miss these days. 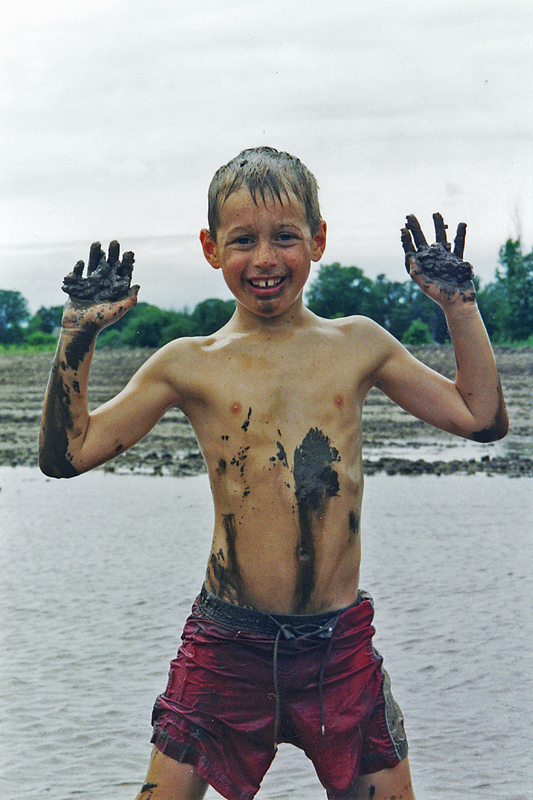 The carefree days of childhood and the simple joys of playing in the mud. 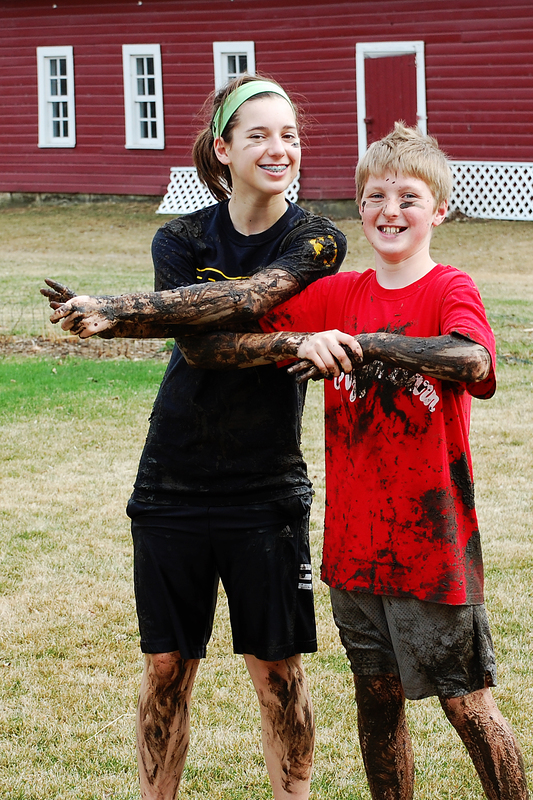 Muddy kids…a simple sign of amazing parenting! I absolutely love this Lynnelle and Jesse!!! !